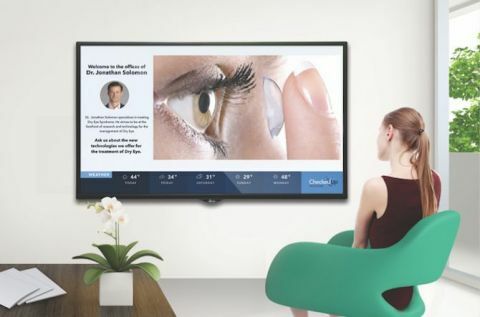 NEW YORK--(BUSINESS WIRE)--CheckedUp, a specialty point of care company, today announced that installations of its patient engagement platform have increased significantly, with more than 15% of U.S. ophthalmic surgeons as adopters of the solution. The significant growth trajectory is fueled by the launch of the CheckedUp Waiting Room platform Explorer, the CheckedUp Exam Room Interactive Consult Wallboard and the CheckedUp Captive Portal solution now being rolled out nationwide. “We are thrilled to see the rapid growth of our platform and credit our success to developing solutions that provide valuable education and information to patients and tools that physicians and staff can utilize for more productive consultations,” said Richard Awdeh, M.D., CEO and Founder of CheckedUp. The CheckedUp Patient Engagement Platform is in use by more than 15% of U.S. cataract surgeons. Financing activity supports CheckedUp's rapid growth.